The reviewer isn't kidding about 'all manner of betrayals'! Gwynne, John. Wrath. Orbit, 2016. A fundamental principle of fantasy (all?) literature is that a sufficiently melodramatic, cathartic victory/ending can only be achieved through the sacrifice of (usually) second-tier characters. These are the ones you can remember, whose names and backstories are vivid in your minds, but whose survival isn’t absolutely essential to the everything-and-everyone-tied-together happy ending the book or series has been moving towards since page one. 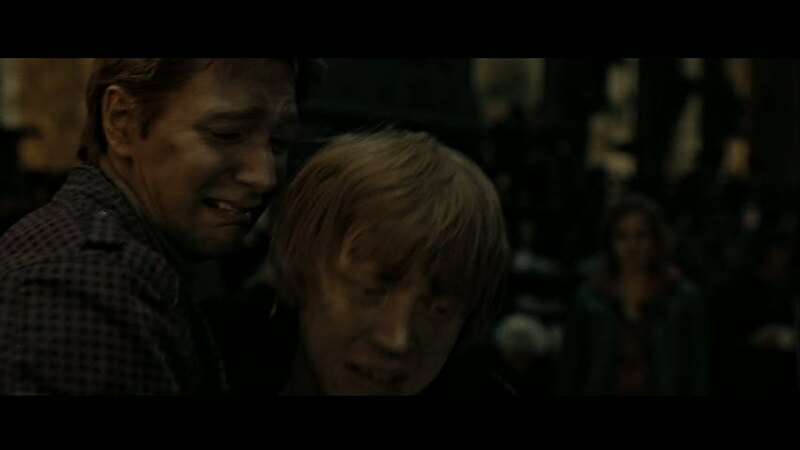 A series like Harry Potter, hurtling towards happiness, could never dare off one of the three principals, forcing Rowling to select her final victims from the B-list: Snape, one of the Weasley twins, etc. Killing anyone more central to the narrative would jeopardize the catharsis. And I don’t mean to single out Rowling/Harry Potter: this is a near-universal feature of fantasy literature. A few B-listers have to die nobly so that the A-listers can live happily ever after. Enter John Gwynne, who has taken this principle and grimdarked it. The essential calculus hasn’t changed—the principals will still survive and earn their happy ending—but the sheer quantity of second-tier characters required to throw themselves into harm’s way boggles the mind. 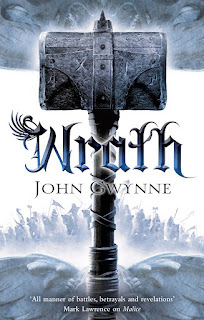 Readers of the first three books of this tetralogy will be quite familiar with Gwynne’s penchant for throwing beloved but still slightly peripheral characters into the meat grinder, but he has savagely upped the ante here. I thought at one point of the memorable exchange from Casablanca: “What is [this book] like?” – “Oh, just like [the other three], only more so.” Remember Rowling’s judicious choice of a single quasi-central figure, one of the Weasley twins, as scapegoat? Gwynne puts almost the entire cast of B-listers on the sacrificial altar. I haven’t spoiled the story if I say: expect the very-most central characters to survive (obviously—no writer dare do otherwise) and practically no one else! This savagery may or may not register in the reader’s mind as a bad thing (it struck me as gratuitously excessive, but others might respond more favorably). But one feature of Gwynne’s approach does seem unambiguously problematic: his apparently quite dark view of mercy. Several times in the series, but especially in this fourth and final volume, “bad guys” spared by well-meaning heroes take their unexpected reprieve to (often literally) stab those same heroes in the back at the first opportunity. It’s as though Gwynne believes a) bad guys are incapable of change, or even of admitting their guilt, and (perhaps as a result) b) mercy is always a terrible mistake. Take Nathair, who has sensed the error of his ways. Gwynne seems to be building to a tearful confession, leaving open the possibility of a way back to the light even for a treacherous viper like Nathair, only to slam that door shut and have the king double down on his evil deeds. Truly we are living in the age of the double-down! But the worst example of the heavy cost of mercy must be Rafe, who once again seemed potentially redeemable (indeed, quite a close approximation of the Harry-Draco dynamic is at play with Corban-Rafe), only to amass quite a body-count after the good guys (foolishly, it would seem) let him go. Naturally, some of the evildoers in the world, if granted a new lease on life, will misuse their second chance, to be sure, but since Gwynne’s only positive examples of the potential of bad guys to change were Veradis (the honorable if naïve warrior) and Alcyon (the honorable giant forced into evil due to magic and the fact his wife and son were held hostage), neither of whom, of course, is actually bad at all, his message is clear: genuine bad guys can’t learn from their mistakes, and will betray their merciful benefactors 100% of the time. Read more on our nerdy scoring system here. This message brought to you by Zhaoyun, still an unabashed optimist despite a steady diet of the most savage grimdark out there, and reviewer for Nerds of a Feather since 2013.